Canada's Olympic couple Rosanna Crawford and Brendan Green, two of the countries top biathletes, have been dating since 2009. 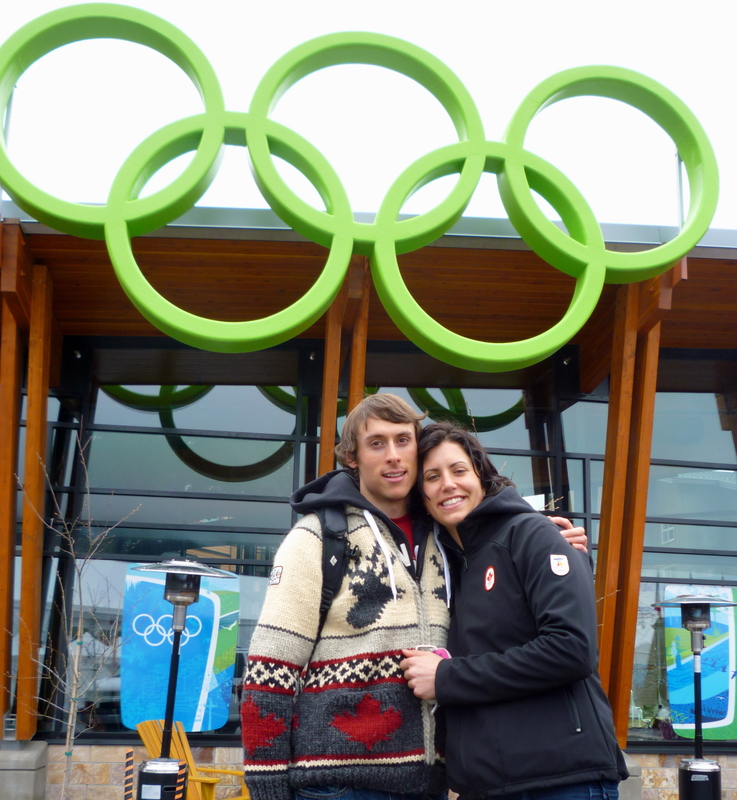 After sharing the experience of a lifetime racing at the Vancouver 2010 Olympics, Rosanna and Brendan have their sights set high on the road to the 2014 Olympics in Sochi, Russia. Rosanna was born and raised in Canmore, Alberta and feels lucky to still call the mountains home! Growing up in the Bow Valley exposed Rosanna to a multitude of different sports, however her love of biathlon won her over as a teenager. She's had a challenging career with injuries, health problems, and some ups and downs along the way. In 2010 her goal was to just make the Olympic team and gain valuable racing experience. She was the last women to make the 2010 team but the lessons learned in Vancouver would positively change her approach to racing and biathlon. The past 4 years leading into the 2014 Sochi games have been very different for Rosanna! She's stayed healthy and is getting stronger and stronger each year. This past winter was her best season to date on the World Cup circuit . She has achieved all of her Olympic qualification criteria, and was consistently posting Canada's top international results! This season Rosanna will be focusing her energy on being at her best come the Olympics in February 2014. Born and raised in Hay River, Northwest Territories Brendan moved to Canmore when he was 18 to train full time with the Canadian National Biathlon Team. Being from the North, it was almost impossible for Brendan not to start skiing during the characteristically long and cold Northern winters. He has always been passionate about biathlon and for as long as he can remember has had the dream of being an Olympian. From a young age he decided that he would do everything within his power to reach this goal. His dream turned into reality in 2010 when he became the first Olympian to represent the Northwest Territories in 26 years! Over the past 4 years Brendan has been dramatically closing the gap with the best in the world and it is no exaggeration to suggest that Brendan is a rising star in the World of Canadian and International biathlon. Unfortunately in 2012 while Brendan was racing to his best ever career results on the World Cup, he suffered a debilitating spinal injury, that would lead to two serious spinal surgeries over the course of a few months and ultimately the question of whether or not Brendan would be able to return to elite level racing. Brendan remained in Canmore during this past years competition season where he underwent an extensive rehab program. The good news is that Brendan is now back to chasing his 2014 Olympic dream and is ready to continue where he left off - In pursuit to finish off what remains of his Olympic criteria. Rosanna and Brendan are looking for your help to cover some of the expenses that they will endure in the lead up to Sochi, so that they can focus 100% on training and racing as they pursue there dreams and goals while representing Canada at races around the globe! With a helper a thousand things are possible! Stay up to date with how training and racing is going with emails from the road! We'll also be teaching you Russian cheers, so when the Olympics roll around you'll know just what to yell at the TV! Keep warm this winter with a scarf or headband knitted by Rosanna. Just tell me your favourite colour! Catch up with Brendan and Rosanna from around the world. We'll set up a Skype or phone call to tell you how much we appreciate your support! You'll also get a signed autograph card, postcards and emails! You won't be able to get rid of us! Help lighten our load and we'll send you a signed poster of us and if you're ever out in Canmore, join us for cappuccinos at our favourite Cafe! Of course you'll also be getting everything mentioned above. Don't live near Canmore? No problem! We'll send you a beautiful photograph of the breathtaking Rocky Mountain's taken by professional photographer Glen Crawford. Hopefully this just might convince you to come visit us! We'll also include a signed bib! Of course you'll also get emails and postcards from the road. Professionally framed bib and picture of the two of us! That way you can hang us up on your wall for sweet bragging rights. Just don't put us in the bathroom please! 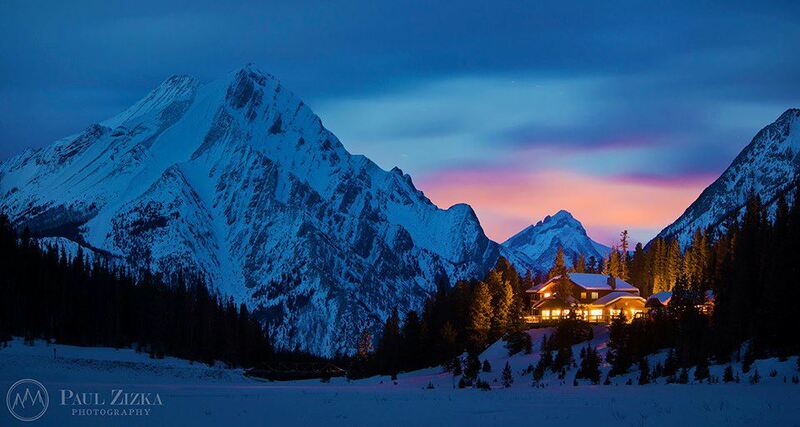 First person to donate 1000$ gets a two night stay at the beautiful Mount Engadine Lodge for two people - http://mountengadine.com. If it works with our schedule we will come up and join you for tea and a snow shoe in the winter or a hike in the summer! Of course you'll also get emails and postcards from the road. Company sponsorship - You'll get your company's name on our toque and warm up jacket and vest. Your logo will get lots of air time with Biathlon being one of the top televised sports in Europe!